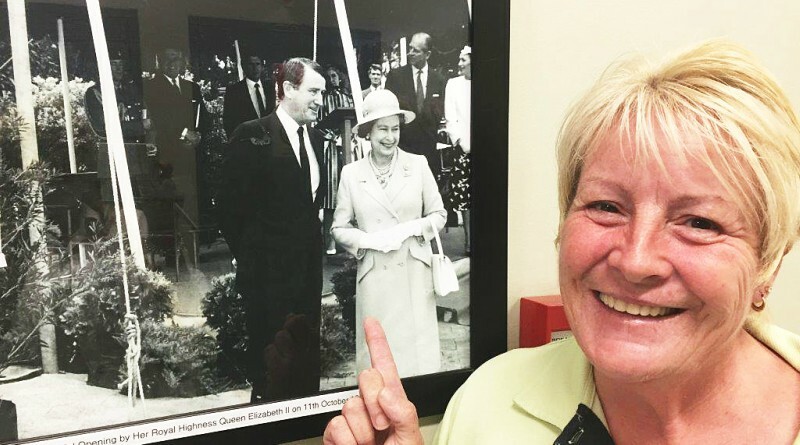 Mount Druitt Hospital general services assistant Sonya O’Loughlin shook the hand of the Duke of Edinburgh when the Queen opened Mount Druitt Hospital. This was no ordinary excursion – on this day the Queen of England and the Duke of Edinburgh visited Mount Druitt to open the hospital. Today, Sonya works at Mount Druitt Hospital as a general services assistant. “I was 12 years old and I still remember it to this day,” Sonya said. “I wasn’t right in the front row I was about three rows back from the front. I was looking at the Queen and the Duke looked straight into my eyes. “Next minute the Duke brushed his hand through the crowd to take my hand and shake it. “I didn’t wash my hand that day. Sonya said the hospital was “massive” for the Mount Druitt area when it opened. Fast forward 37 years and she now works at the hospital as a cleaner in the general services department, where she says she couldn’t be happier and enjoys meeting people. “More than 20 years ago, my mother suffered a heart attack and she was brought to Mount Druitt Hospital,” Sonya said. Sonya still resides in the Whalan area caring for her elderly parents. She hopes to see Prince William or Prince Harry visit the hospital the near future so she can have another brush with royalty. Which bank has donated $10,000 to Mount Druitt Hospital? 28 Mar, 2018, 4:02 pm Sia Anthopoulos Comments Off on Which bank has donated $10,000 to Mount Druitt Hospital?